I tend to be especially drawn to books that have won awards, and this one won the prestigious Man Booker Prize in 2011, so it’s been on my to-read list for a while. When I first delved into it, I confess that I was a little bored reading about snobby British high school boys. “Great,” I thought. Another snooty, boring English novel. (Did I mention that although I like a book that’s won an award, I’m not particularly fond of a lot of English literature?) I kept at it, though, and it wasn’t long before I was rewarded by a really good story. A really good story with lots of subtleties and layers, a story that makes you think – all in well under 200 pages. 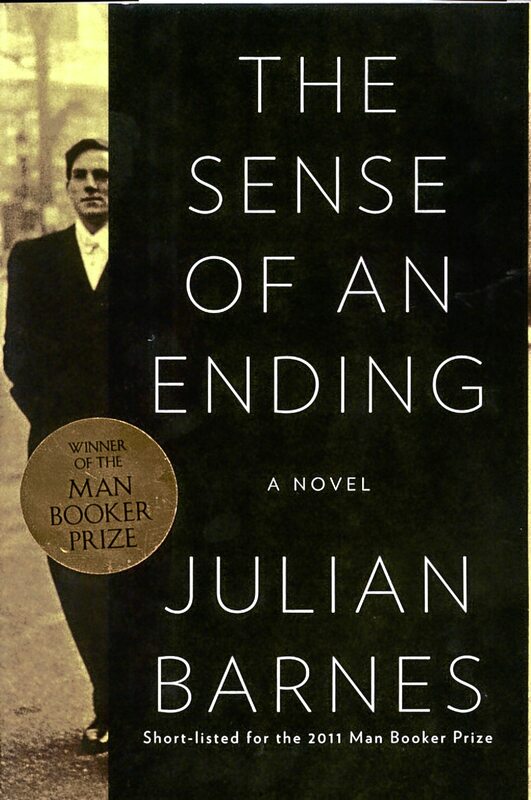 On the surface, The Sense of an Ending is the story of four English high school boys who go on to college in the 1960s. A girl enters the story as the narrator’s love interest, but after a while, the affair fizzles, as young love often does. It almost seems inconsequential until, years later, she resurfaces. At its heart, though, this isn’t a story of boy meets girl; it’s a story about perceptions and memory, and how time can change both of those. There is a twist in the latter part that I think was gratuitous and unnecessary, and it bugged me because it involves the portrayal of an intellectually disabled person whose origin and persona are extremely shallow and stereotypical – but I guess that would be expected from someone (the author) who presumably hasn’t had any meaningful, direct contact with anyone with an intellectual disability, and I’m sure it only bothers me because I have daily, meaningful, direct contact with someone with an intellectual disability. That aside, it’s a very good book, and well worth the read.